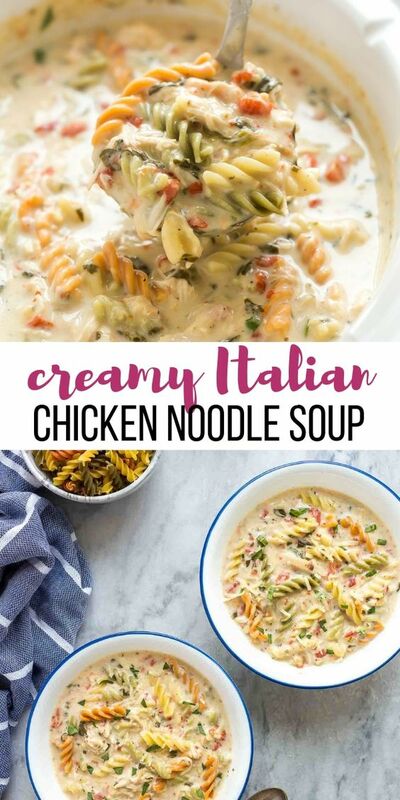 This Creamy Italian Slow Cooker Chicken Noodle Soup is even better than the original! With garlic, spinach, roasted red pepper and a touch of cream and Parmesan it is hearty and flavorful! Remove chicken from the slow cooker and shred with two forks. Place back into the slow cooker. 0 Response to "Creamy Italian Slow Cooker Chicken Noodle Soup"